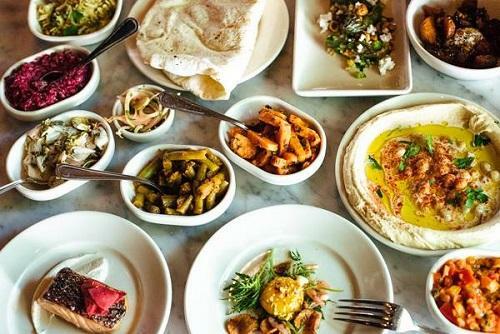 On July 15, 2018 at 6:00 pm, we will be hosting an incredible meal prepared by Nilda Wolman and Alfonso Ortega inspired by our recent congregational trip to Israel and the cookbook Zahav by Michael Solomonov. All of the details from menu to cost can be found here. Our price has gone up a bit due to a choice about where we are getting our meat. All meat will not only be kosher, but pastured raised, organic, and handled according to the most ethical standards. All of our meat comes from two sources: Grow and Behold and heritage chickens raised at Ten Apple Farm. We will also be providing kosher wine and local beers. Email me to reserve your seat! We have sold out every previous year of our fundraiser. Respond and share our event on Facebook! Let me know if you are interested in being a sponsor -- letters will be going out soon. We look forward to seeing you on July 15! Our synagogue punches above its weight, but all that we offer and all that is required to keep our community running cannot be covered by dues alone. This fundraiser plays an important part in reaching our potential each year, and we strive to do it in a way that is fun and incredibly delicious.